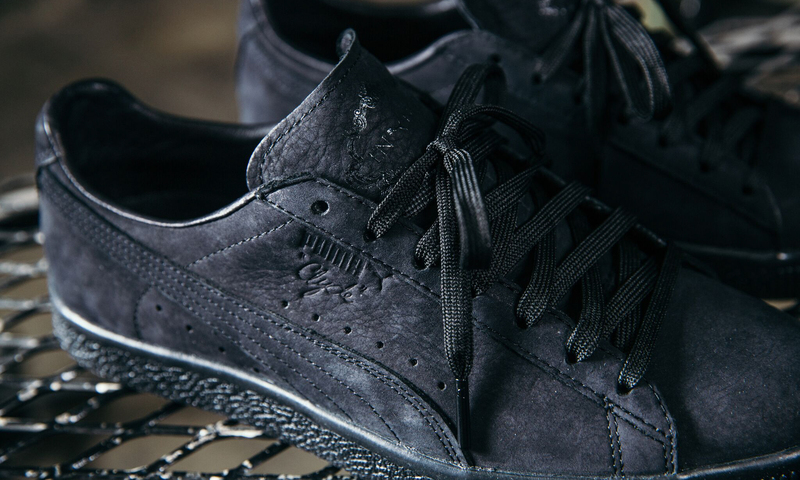 The latest streetwear brand to collab with Puma is En Noir. 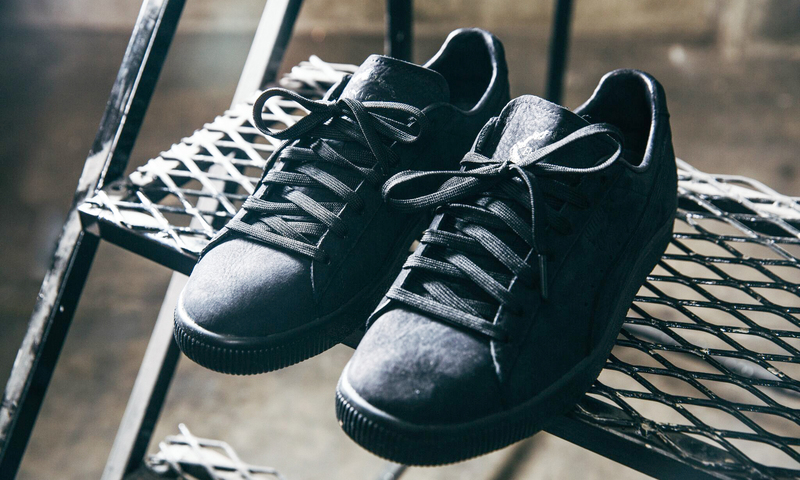 Following a 2016 filled with these types of collaborations, Puma has tabbed the self described “monochromatic minimalistic” brand to lend their design aesthetic to the classic Clyde and the modern Ignite evoKNIT silhouettes. 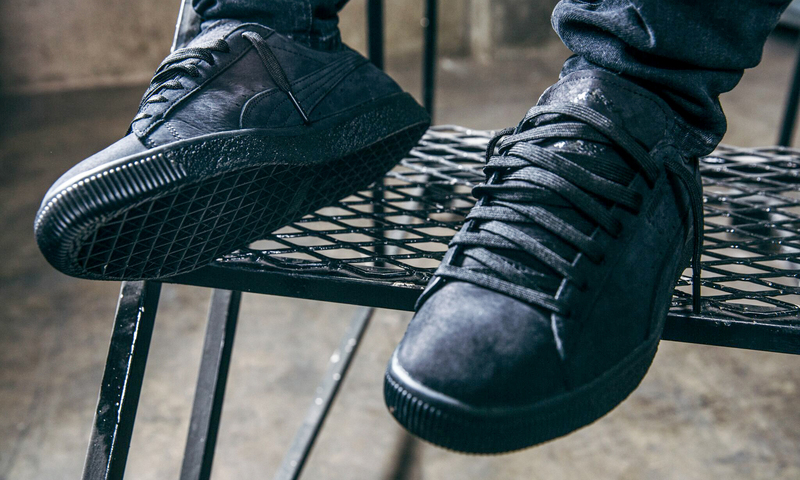 We sat down with designer and founder of En Noir, Rob Garcia, to learn more about the release of his “Carpe Noctem” collection with Puma at Footaction. Rob Garcia: It started at Black Scale, which is a streetwear brand that I have (we’re coming up on our tenth anniversary). That was the first platform that I had to design and be creative. It organically was one of the first dark aesthetic streetwear brands where everyone else was doing color and all over print and we decided to go with more monochromatic minimal dark aesthetic approach. Fast-forward a few years – that starts to become cool. I was able to cut my teeth on that level and design to find out what my aesthetic was and then I wanted to do higher end and luxury. It ended up becoming En Noir, which translates to “In Black” which, once again, plays true to what my natural aesthetic is. We’ve had some great success at En Noir. We’ve been in Barneys since Day One. We’ve showed in Paris [and] New York Fashion Week. Now we’re very fortunate to be five years old and working on great projects like this Puma project which has come about in the last year. 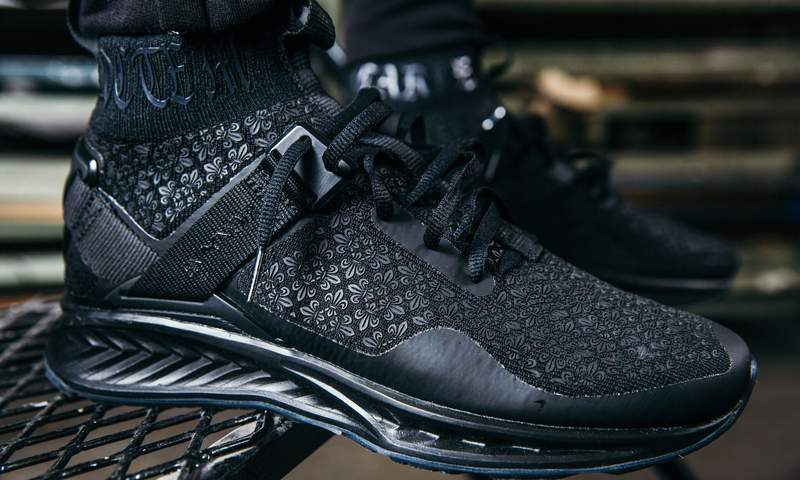 FTA: Luxury is a term that’s creeping into the sneaker world more and more every day. What’s your history with designing or collaborating with footwear and what does working with a brand like Puma mean to you? RG: We don’t do much, if any, internal footwear for the brand. We’ve sampled some stuff and had a couple of limited releases but we’ve never really focused on it. It’s nice to work with a brand like Puma where that’s their expertise because before you delve into a certain area of your brand it’s nice to work with someone where that’s their genius and that’s their expertise so we’re learning a lot about the footwear and what that means to the En Noir brand. We’ve been very fortunate to have a great relationship with Puma and we have a good balance in our relationship where Puma really focuses on their expertise and their strength – the athletic and technical aspect – and then us bringing our side in where we focus on materials, sourcing, key ingredients, and high execution which, in turn, someone could deem as luxury. At the end of the day, luxury exudes a certain level of ingredients, materials, and execution. We’ve been able to balance those two worlds. FTA: As you said, En Noir means “In Black” said and that probably speaks to the final design of the shoe but take us through what you did with each silhouette. RG: The process started out where I needed to figure out what silhouette I wanted to do. You have the Clyde, which is one of [Puma’s] oldest silhouettes – very classic, very staple piece which highlights the great, rich history of Puma. Then you have the evoKNIT, which is their newest most technically advanced shoe so that’s the balance. For us, it’s key to highlight that balance. We ran through a couple variations that added a little bit of color or added a little bit of black and white but at the end of the day it made sense and was very authentic to our brand for it to be all black. Even though it is all black, we’ve been able to mix the materials that you see on it, which gives it different shades of black and I love that. I think there’s a certain level of intrigue to having something be super monochromatic and super minimal. It highlights certain details and with both shoes we’ve been able to do that. FTA: Puma has dropped a ton of collaborations in the last year from Pink Dolphin to Dee & Ricky. Is it cool to be associated with brands like that? RG: Yea, I think it’s great to be attached to the other brands that have worked with Puma. It all makes sense whether the brands are so different color palette-wise or aesthetic-wise. I’m a fan of what Pink Dolphin was able to come up with. Do I wear a lot of pink and blue? I don’t but I really liked what they did. I really love what Dee & Rickey did. I can have a certain level of appreciation for things that I may not wear but I can respect it as a fan of good executed product. I really feel like Puma has done the right collaborations and they’ve taken on the right relationships. What they’ve been able to do with Rihanna has been amazing. I think it set a certain tone and a certain attitude, which in turn, has had me want to be a part of what they’re doing. I’m really excited about the project that they have with The Weeknd. It’s a good time to be doing stuff with Puma. FTA: What’s it going to be like to see a brand like En Noir in a national store like Footaction? RG: It’s amazing. When we were going through this process we were thinking distribution channels and, of course, when you’re doing something at this level of execution and the materials that are involved, you’re always thinking “high, high, high.” At the end of the day, it’s wonderful to have a product releasing at Barneys or Saks, but I think it’s very special to execute a product that balances worlds where I don’t want to shun out a certain consumer. I don’t want things to be too aspirational for one and too low for another. I want to be right in the middle and I know both shoes are a great balance where you have a consumer be able to walk in to Barneys and also walk into Footaction feel the same feeling when they purchase this and feel good about the product. 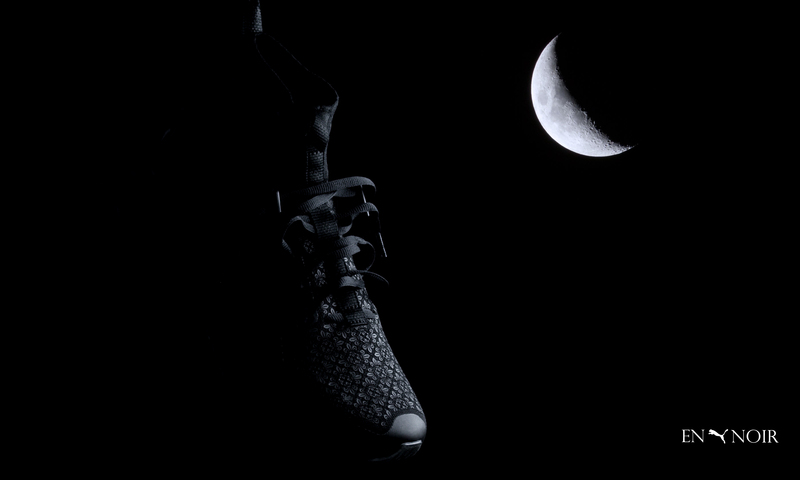 See which of our stores will carry the “Carpe Noctem” collection on Release Locator!